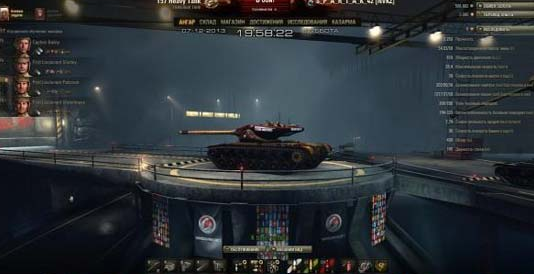 Here is a new hangar from Wargaming. 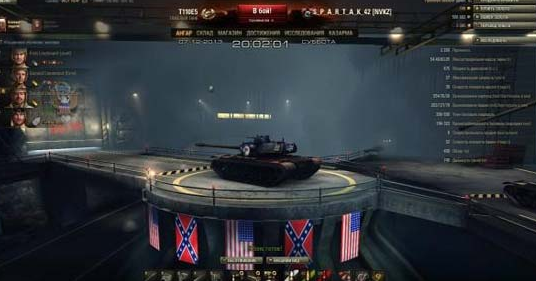 This time WG decided to make the process hangar at the factory of tank, which is suitable for WOT 0.9.17.1. After installation your tank moves to center of assembly tanks. It will on a separate platform, because it is already assembled and ready for battle. Neighboring will be disassembled same tanks. Hangar is stylish and modern. Now hangar will appear a completely new color scheme, which is not similar to the previous. It does not make hangar not like the old versions. An excellent replacement for the standard version if you have time to get bored. Copy the contents of the archive in the WOT / res_mods / 0.9.17.1 /, confirming the replacement.